Malaysia is the next logical site for Southeast Asia data centre operations, with dedicated resources and inherent location advantages. t's one thing for a location to call itself a "world class data centre hub" and another to say it's on the road to becoming one, as is the case with Malaysia. This strategically located Southeast Asian nation is taking the steps necessary today to build an airtight case for being a logical location for data centre operations tomorrow. Parts of that case - a stable, natural-disaster-free geography, strategic location and pro-business federal and state governments - were already in place by the time the Malaysian government designated data centres an Entry Point Project (EPP3) under the Business Services National Key Economic Area - one of 12 NKEAs in Malaysia's Economic Transformation Programme for achieving high-income status by 2020. "As a hub location, Malaysia is well positioned for market reach to potential growth opportunities in Vietnam, Thailand and Myanmar to the north and to other large growth nations, such as Indonesia and the Philippines. Also remember that Malaysia is already an international location for major enterprises." - Derek Webster is a UK-based consultant specializing in data centre strategy and development. The EPP3 initiative brings government efforts to bear on Malaysia's drive to become a world class data centre hub, especially with respect to supply and demand of data centre space, elevating the visibility of Malaysia's data centre sector and supporting the country's data centre environment through infrastructure improvements, policy planning and talent development and training.It helped Malaysian data centres achieve 13 International Data Centre Organisational Certifications in the past two years, including LEED and ISO 27001 (information security management) certifications. And it affords home-grown data centre providers resources with which to accelerate construction of data centres and DC Parks, such as Sedenak Industrial Park in the Iskandar Malaysia Development Region in Johor Bahru and in Cyberjaya - the ICT hub component of Malaysia's Multimedia Super Corridor (MSC) near Kuala Lumpur. "The foundations are already in place with infrastructure capacity potential, geographic stability, strong data protection laws, physical location and government support on data centre investments," says Derek Webster, a UK-based consultant specializing in data centre strategy and development. "Not many locations sit between markets of 1,210 million people to the west in India, 1,347 million to the east in China and more than 600 million in Southeast Asia. Being ready to access these markets in the digital age is an imperative." Webster says Malaysia has the capacity and skills to deliver the infrastructure necessary to keep up with the region's growing demand for digital services, and that the DC sector in Malaysia is understood to be key to the region's growth potential. Government support is one inherent advantage to a Malaysia data centre operation, says Webster, referring to the relevant agencies as "aware and aligned to this sector, providing great ease of doing business with FDI opportunities, speed to market, available land assets, power and fiber." A Malaysian data centre investment can easily support regional operations, Webster reiterates. "As a hub location, Malaysia is well positioned for market reach to potential growth opportunities in Vietnam, Thailand and Myanmar to the north and to other large growth nations, such as Indonesia and the Philippines," he illustrates. "Also remember that Malaysia is already an international location for major enterprises." And it's a safe bet in the context of macro-economic dynamics: "The impact of the current global crisis on the Malaysian financial sector has remained well contained, and its sovereign wealth fund seems solid," notes Webster. The third annual release of the Data Centre Risk Index - developed by Cushman & Wakefield, hurleypalmerflatt and Source8 - reveals some areas with room for improvement, although overall it shows Malaysia rising in the Index to 16th place out of 30 countries represented in 2013 from 19th place in 2012. The Index scores the 30 countries according to their performance in 13 categories: energy cost per kWh, international internal bandwidth, ease of doing business, corporation tax, labor cost, political stability, percent of energy from alternative sources, natural disasters, education attainment, energy security, GDP per capita, inflation and water availability per capita. It credits Malaysia's "comparatively low increase in the cost of power and a rise in the ease of doing business category" as the main drivers of Malaysia's rise in the ranking. Malaysia's strongest suits in the 2013 analysis are energy security (3rd place), energy cost and inflation (7th place each). The Data Centre Risk Index commentary echoes some of Derek Webster's sentiments, particularly with respect to regional demand for DC resources: "Southern Asian markets such as Indonesia, Malaysia, Singapore and Thailand have witnessed a steady and significant demand for data centre space, driven by their economic growth and BPO businesses, with the total data centre capacity in the four countries reportedly expected to increase by over 50 percent in the next five year." International bandwidth - Malaysia's apparent Achilles heel - should rise in the next ranking thanks to new connectivity coming online in 2014. This includes the Asia-Africa-Europe 1 (AAE1) and Bay of Bengal Gateway (BBG) submarine cable systems. Additionally, "The Asia Pacific Gateway (APG) cable is on target for completion in Q3 2014, when 10,000 km of international fibre optic cable system will link Malaysia to Korea and Japan and seven branches to other Asian countries, including Hong Kong, Singapore, Taiwan and Korea," the Data Centre Risk Index explains. "The spread and capacity of APG will make it one of the most strategically important cables in the region and will reshape the connectivity of the region as well as improving cable resilience." Connectivity aside, the 2013 Data Centre Risk Index is bullish on Malaysia: "Alongside other Asian countries, Malaysia is very attractive to the data centre market as an established BPO destination." It will be more attractive still, says Webster, when Malaysia has taken the next steps necessary to becoming the "Next Best Place" globally for new data centre facilities. These include being more aggressive about making known Malaysia's case for this investment, including the many government resources available, addressing "last mile" or end-user telecom connectivity issues and installing fiber capacity independent of Singapore. Such steps will only accelerate growth in Malaysia's data centre sector, which in 2012 saw growth of 15.9 percent and total revenue of US$112.5 million. With the growing demand for data centre space from both domestic and international customers, Frost & Sullivan forecasts the Malaysian data centre services market to be worth $355.9 million at the end of 2019. NTT Communications (NTT Com) in April launched its fourth state-of-the-art Rimba Digital 2 - Global Solution Center & Malaysia Cyberjaya 4 Data Center, NTT Com's fourth data centre in Malaysia and its 146th worldwide, marketed under the global brand Nexcenter. It also is the company's second Green Performing Data Center in Malaysia, after the Malaysia Cyberjaya 3 Data Center. "Frost & Sullivan sees many encouraging trends in the Malaysian data centre services market," noted Mayank Kapoor, Industry Analyst for ICT, Frost & Sullivan Asia Pacific, in November 2013. At that time, the global consultancy recognized two DC service providers - CSF and VADS - as best in class based on market share, services strategy, business strategy and people skills strategy, which are components of Frost & Sullivan's Frost Industry Quotient (IQ) matrix. "Data centre service providers are diversifying their service offerings instead of focusing solely on co-location services," Kapoor observed. "In line with market demand, these service providers also offer managed hosting and managed services. 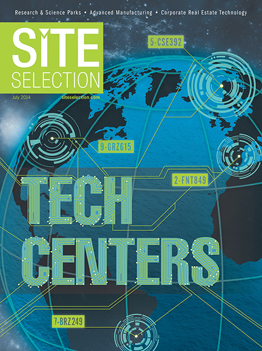 Green data centre features are often added to attract clients and overcome competition." Other service providers performing well according to the Frost IQ matrix are NTT MSC, AIMS and SKALI. Meanwhile, Malaysia's Multimedia Development Corp. (MDeC) is working to ensure that the sector stays on track and contributes its share to the country's economic transformation. "As the advisor and champion of the EPP3 initiative, MDeC's role is to facilitate growth of the industry," stated Ms. Ng Wan Peng, Chief Operating Officer of MDeC, in October 2013 at the launch of the Malaysian Data Centre Alliance ( www.mcda.org ). "We are working with the industry to elevate Malaysia's standing in the robust global data centre sector. Such initiatives include understanding the needs of the industry through regular forums, creating the awareness of the importance of DC in a business entity, catalyzing the industry through incentives and programmes for data centre professionals, provision of comprehensive facilities, services and expertise that create a conducive business environment for the sector. "With the establishment of the Malaysian Data Centre Alliance, this effort will be more streamlined and will attract more Domestic Direct Investments (DDI) and Foreign Direct Investments (FDI) which will subsequently contribute to the country's economic growth." Engaging stakeholders to continuously develop and provide a more supportive ecosystem for the data centre industry. This Investment Profile was prepared under the auspices of the Multimedia Development Corporation (MDeC). For more information on Malaysia's data centre sector, email clic@mdec.com.my or visit www.mdec.my, www.mscmalaysia.my and www.datacentre.my .